Or copy and paste, whatever. This one is a winner my friends. Just take a minute...soak that picture in. It's called "spaghetti in garlic gravy". Uummm, spaghetti and gravy? Sign me up. - Add all the marinade ingredients into the chicken and marinate for 20 minutes (if making this dish in pronto) or over night (if making this dish the next day… much better). 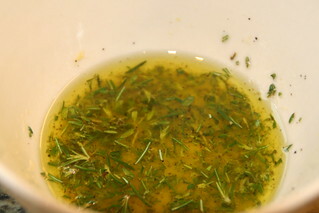 - Saute the marinated chicken in extra virgin olive oil until cooked (about 4-5 minutes) then set aside. - Place sauté pan over medium heat and add butter and olive oil. - Saute garlic until fragrant and soft. - Add the flour and cook for a minute. 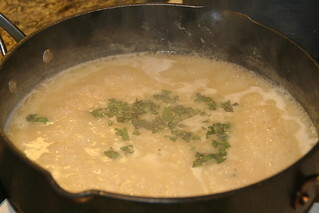 - Add chicken stock and simmer gravy until thickened then add the chopped basil. 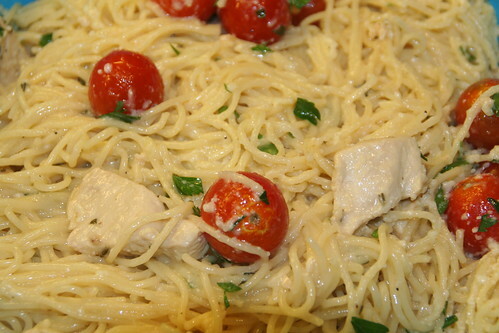 - Add the sauteed chicken in the gravy then toss the cooked spaghetti into this sauce. - Add the cherry tomatoes and finish the dish with the chopped parsley and grated parmesan cheese (serve extra on the side). It was soooo good. Everyone ate it. Next time I think I will add even more herbs and maybe a little white wine to the sauce. 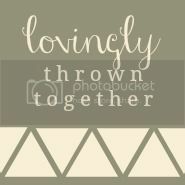 yes I do. that looks SOOOOOO good. and "500 grams" of spaghetti. that sounds like alot. wow that looks sooooo yummy!!! is this pre or post my fitness pal? i'm feeling like my app wouldn't like this recipe. but my tastebuds would. thanks for letting us know it exists!